Guy Fawkes Night, also known as Bonfire Night and Fireworks Night, is an annual celebration which takes place on November 5, primarily in UK. The history of Guy Fawkes Night is incredibly interesting and if your children do not seem to show that much interest in history class, this is one history lesson that will capture their attention. Its history begins with the events of 5 November 1605, when a member of the Gunpowder Plot, Guy Fawkes, was arrested while guarding explosives the plotters had placed beneath the House of Lords in London. Celebrating the fact that King James I had survived the attempt on his life, people lit bonfires around London, and months later the Observance of 5th November Act enforced an annual public day. Encourage your children to research the event, there are a great selection of books from Horrible Histories which explain historic events in a fun, colourful and easy to read manner, including the Gunpowder Plot. There are many beaches in Toronto that allow bonfires, so what better way to teach your kids about an important historic event than to reenact it! Bonfire, sprinklers, fireworks (if permitted) and hot chocolate will make it a really fun evening for the whole family. 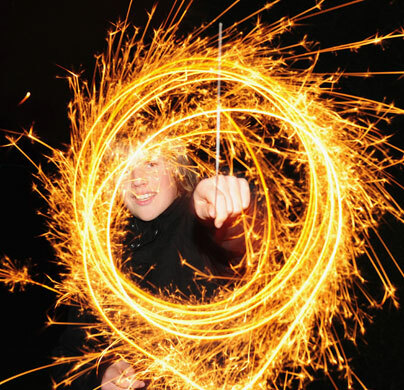 Guy Fawkes Night isn’t just for children, it’s an event that captures the interest of kids, teenagers and adults alike. Once the kids are in bed why not watch V for Vendetta which is based (loosely) on Guy Fawkes and the Gunpowder Plot. This film made the Guy Fawkes mask an icon of popular culture. Although Guy Fawkes Night isn’t really celebrated in Canada, it’s an excuse to organise family time! It’s also a good way to educate your children about British history without them knowing!